* Root HTC phone without backup. * Delete the files by accident from HTC phone. * Virus or malware attack HTC phone. * Abrupt corruption of Android system. * Accidentally format HTC phone SD card. * Improper handle of HTC phone like switching of mobile phone abruptly. * Remove SD card from HTC device improperly which causes file system to collapse. * HTC phone display “Unsupported File System” or “Black Media” on SD card. So If you happen to lose the data which is very important, just hold a professional HTC data recovery software which is qualified to recover lost HTC data in hand can be extremely helpful. 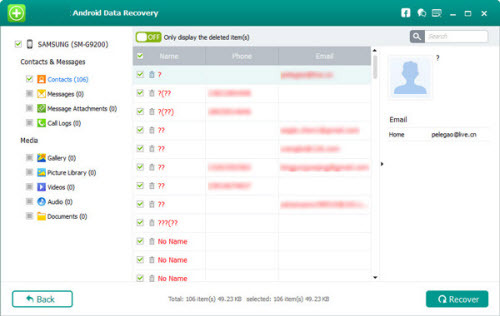 And UFUSoft Android Data Recovery can be used as a reliable HTC Phone Data Recovery. By three simple steps, you can easily use this data recovery to scan, preview and recover all your lost SMS, pictures, videos, audio, contacts, text messages, whatsapp, music, call history, and documents from all kinds of HTC Phones. Don’t doubt, just download the software and follow the below guide to recover your deleted files from HTC Phone like HTC U12+, HTC U11, HTC 10, HTC One X10, HTC One M9, HTC One A9, HTC Desire 10 Pro, HTC U Ultra, Desire 828, HTC Butterfly 3, etc. 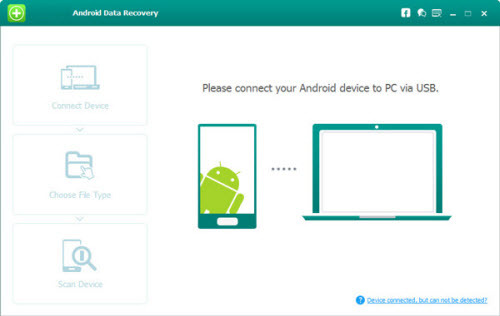 Run HTC Phone Data Recovery on the PC and download. After installation finished, open the software, and then connect HTC Phone to PC. During the recovery, do not open any other software. If you do not enable USB debugging, you will receive a pop-up message on your HTC Phone. In this time, you need to enable it. If you don’t get a reminder message, just skip this step. Once your phone is recognized, the software will begin to detect deleted data on your device. In this section, you can examine the flies you want and press “Next” button to go on. And your lately deleted data will be scanned. You’ll get a window as follow on your device after your device is detected by the program.Tap “Allow” to enable the program to scan your HTC phone for files. After scanning process, you can preview the lost data on the PC. 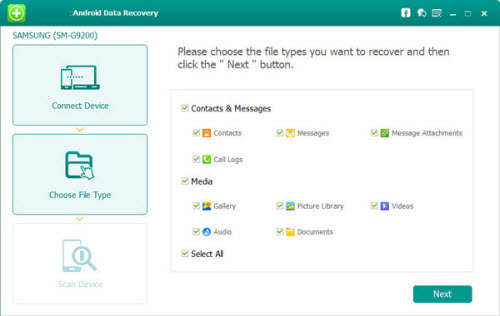 Choose the options you want to retrieve and click “Recover” to preserve them on the computer. How to Recover Deleted Files from XQD Card on Windows or Mac? How to Rip CD to FLAC/MP3/WAV/WMA/AAC/ALAC on Mac? Can you play Blu-ray Movie on PS4? Can PS4 Play 4K Blu-ray? MP4 to PowerPoint – How to Insert MP4 in PowerPoint Successfully? How to Import/Convert Canon EOS T2i/Canon 7D MOV to Final Cut Pro 6/7/X for Editing? Copyright © 2012-2019 UFUSoft Studio, All Rights Reserved.